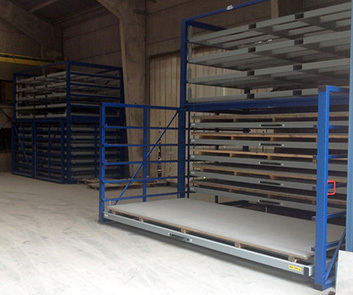 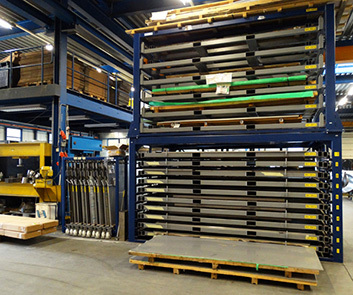 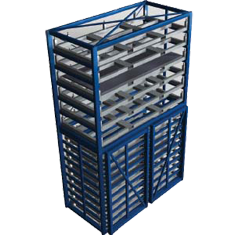 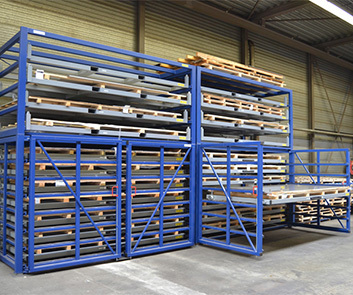 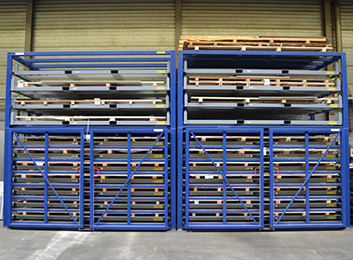 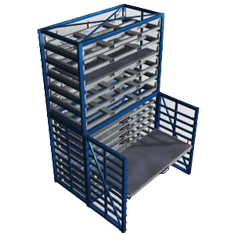 The metal sheet warehouse rack consists of a combination of a horizontal metal sheet rack horizontal (lower block) and a metal sheet forklift rack (upper block). 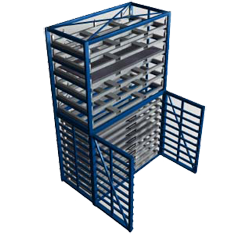 The lower block contains drawers which can be pulled out 100%. 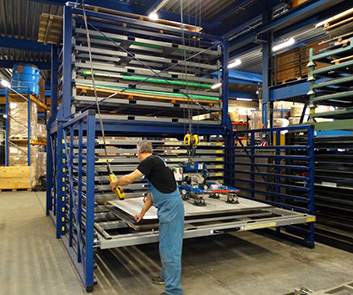 In the upper block, the sheets are placed in cassettes, which can safely be transported with the forklift. 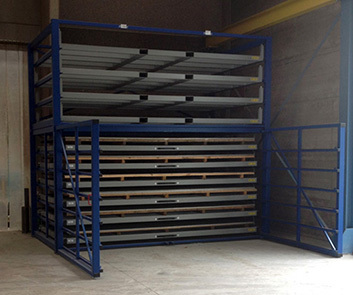 With this combination, you obtain an efficient storage system with a high capacity to store metal sheets on a very small surface. 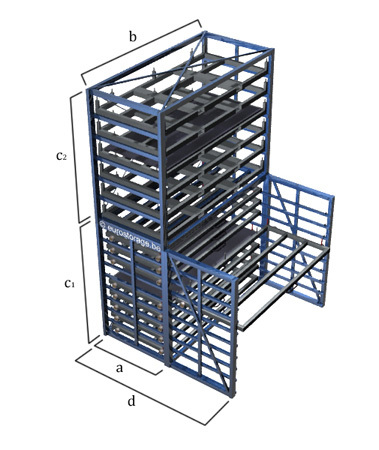 Also other dimensions are possible. 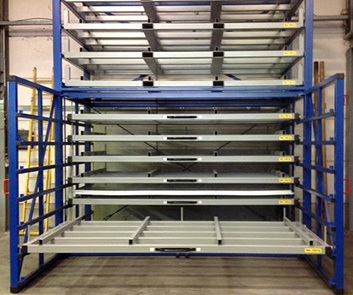 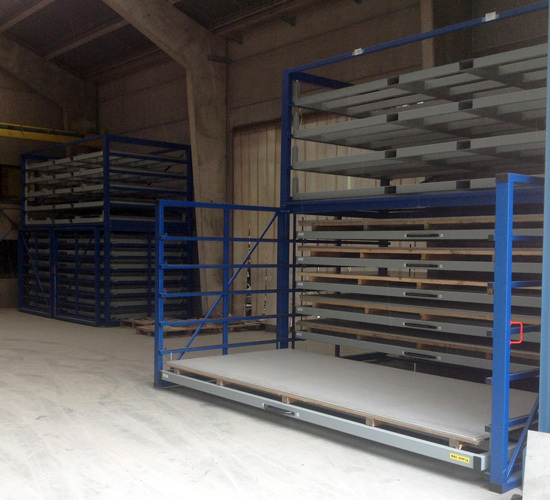 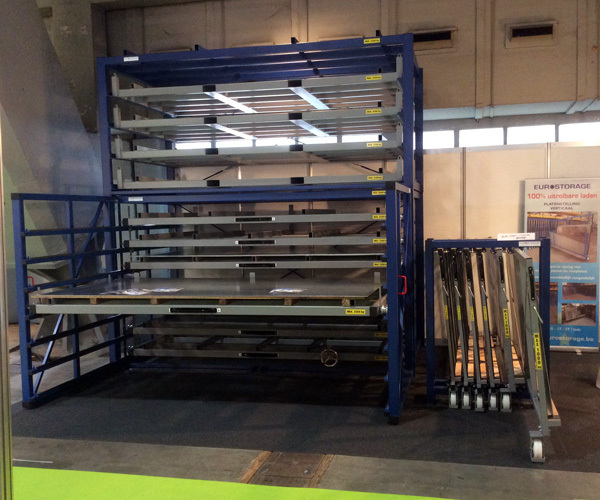 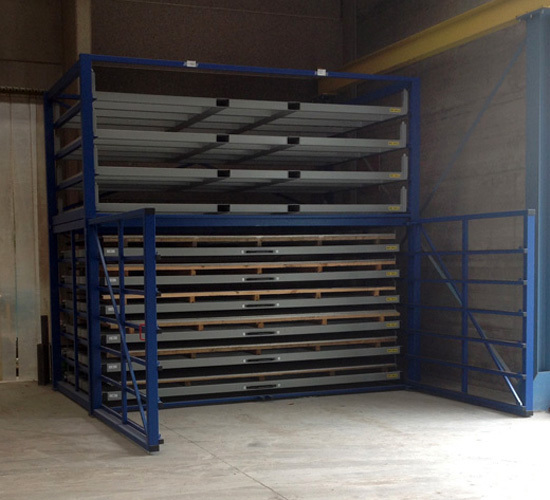 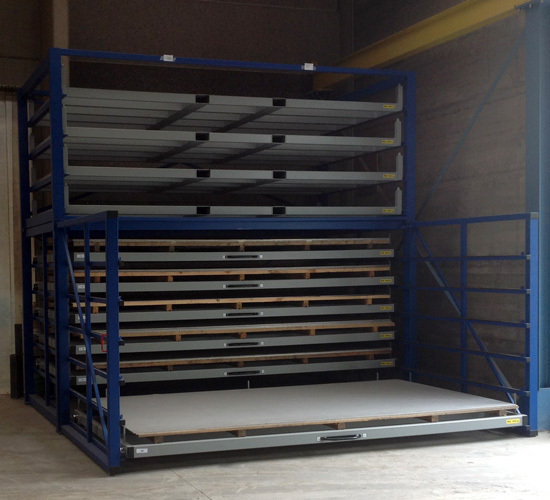 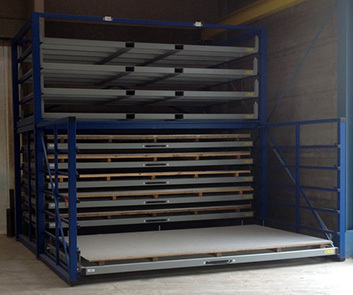 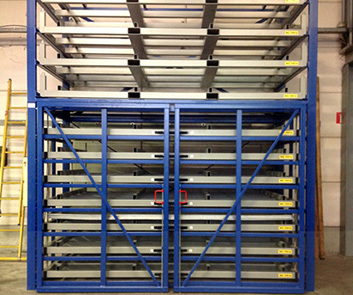 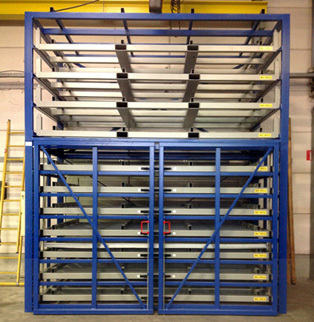 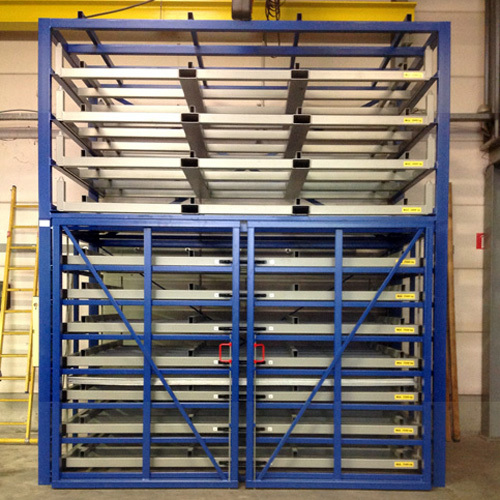 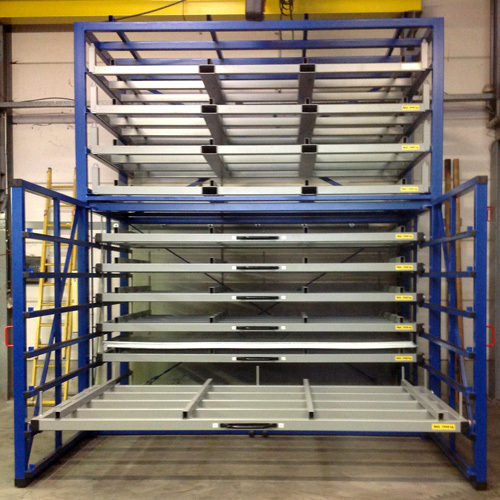 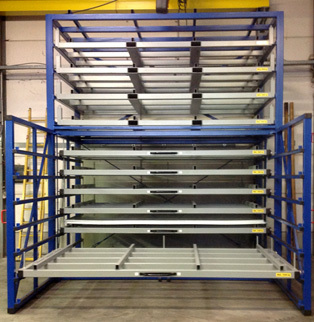 The horizontal metal sheet rack consists of drawers on wheels which are 100% extendable outside the rack. 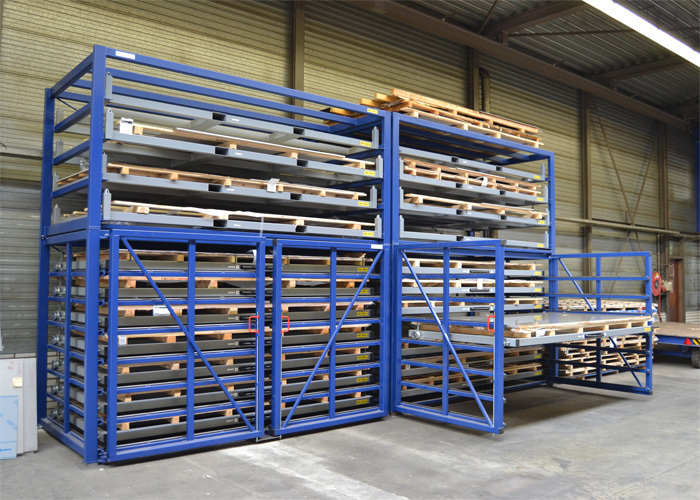 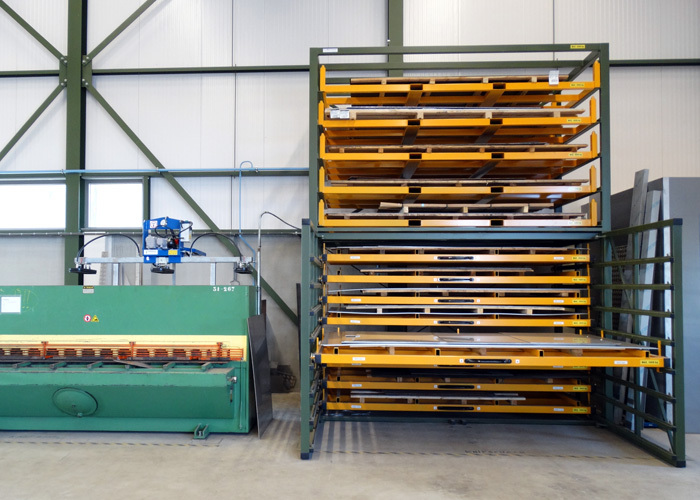 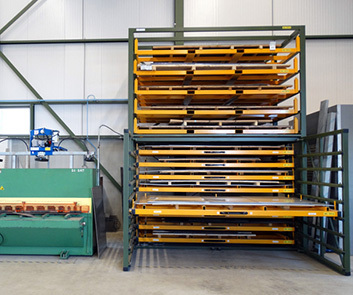 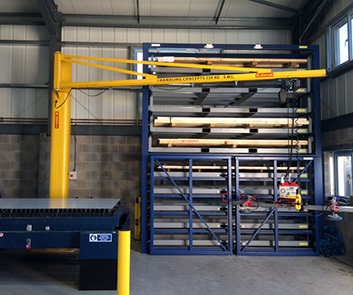 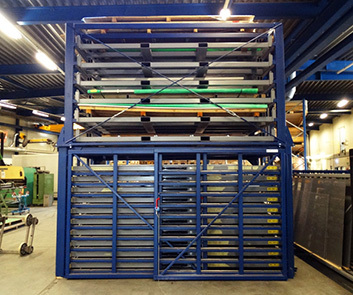 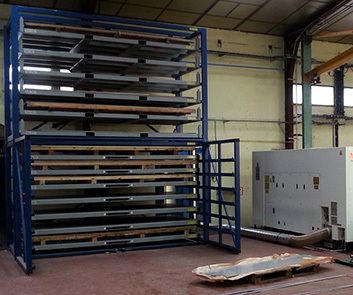 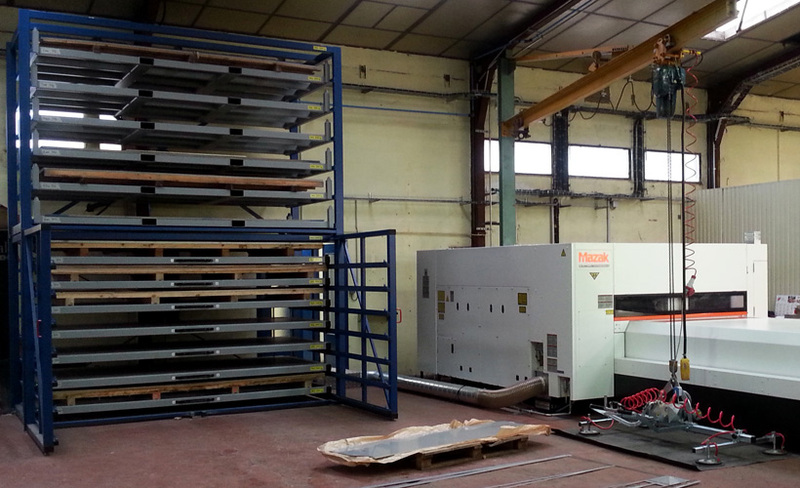 Every drawer, and thus every metal sheet, becomes completely available for transport to the cutting or punching machine. 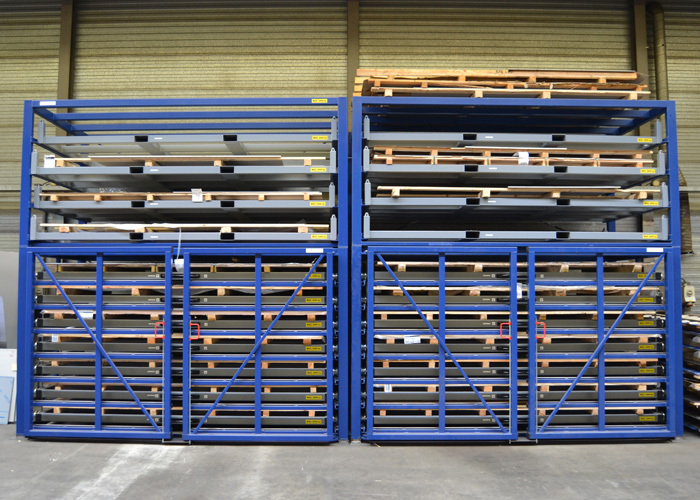 Your metal, alu, galva or stainless steel sheets are always available and easy for handling, this means loading and unloading in the most secure manner. 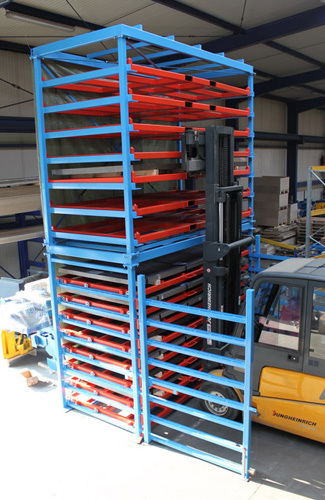 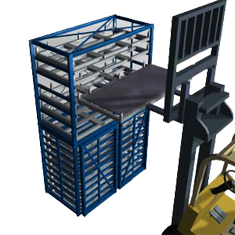 The metal sheet forklift rack consists of cassettes which can be retrieved with the forklift. 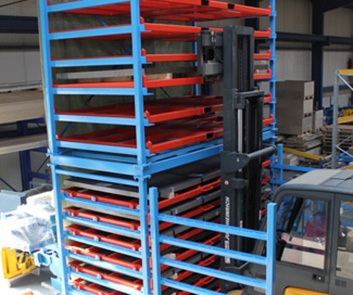 The forklift lifts the cassettes into or out of the rack, using the openings in the cassettes. Accordingly, the forks of the forklift cannot touch the metal sheets so there can be no damaged to them.